Are you lost in terms of teaching writing? Maybe you have a reluctant writer on your hands, how can you find the a great language arts curriculum for writing? Writing for me is the most difficult to teach because it encompasses so many things. The writing mechanics, grammar, vocabulary and spelling. When I say writing, I’m talking about writing curriculum, I’m not talking about penmanship but once a child is beyond that how can you get your children writing well? To begin, I like to start a child off with copywork. The child is able to model grammatically correct sentences and will hopefully transfer this into their own writing. This is where I like to begin before they start free writing. I would never discourage a child from writing their own stories for fun, but I want to dedicate some time to writing proper sentences. When you start copywork for kindergarteners, start with a word, then two words, and then work your way up to complete sentences. Writing with ease goes through the narration, copywork, and dictation process for grades 1 to 4 which is very thorough and it also has accompanying workbooks. I chose to use the text as a guide so that I could choose my own reading and copywork selections. The next step is to learn proper paragraph formation and then move onto to essays. I think it is important to build upon previous skills because writing incorporates so many skills at once. 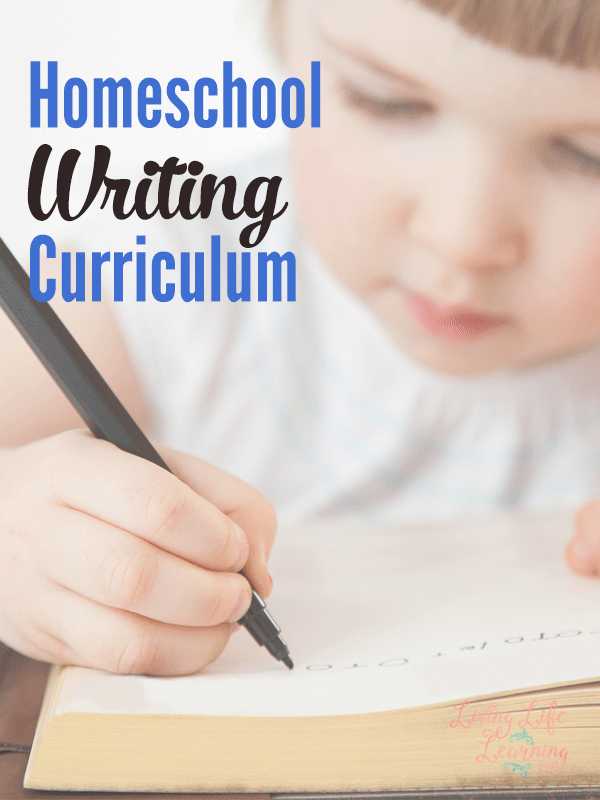 Take a look at the writing curriculum, look at the table of contents, and check out the samples. Is this something you see yourself teaching? Does your child know how to do these things yet? Don’t get hung up on grade levels and meet your child where they are in terms of skill. Writing is an important skill to teach and you don’t want to skip over things. Is your child going to get excited about writing about their room or what they see out their windows? If not, don’t be afraid to change the assignments so they can write about their favorite toys or something else that excites them. You don’t want them to dread writing. Don’t forget that your child is writing in other subjects as well. History and science incorporate writing as well so you can kill two birds with one stone by having your child do a written narration of their history or science reading. Take the time to point out grammar and punctuation errors. Institute for Writing Excellence – TWSS DVD course, I did a review a IEWa IEW earlier this year. Writing is an important and time-consuming skill to teach but it will definitely be worth while. Find the best language arts curriculum for writing by choosing what would work best for your child.